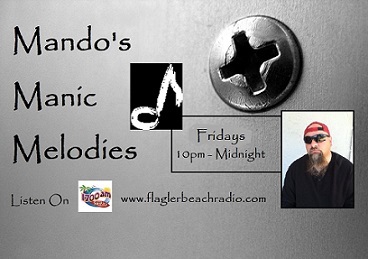 Join Armand Rosamilia AKA Mando for Mando's Manic Melodies a show decicated to the harder edged side of music. Mando will be spinnin' heavy metal surf music covers, hard rock & punk on Friday nights from 10 pm - 12 midnight. It's his show, he's got the microphone and the controls so he can basically play whatever he wants to. And he's a real big dude, so we're not about to tell him he can't. Tune in... or else!! !